Just Ask- I have worked with many families who were able to cut hundreds of dollars from their monthly budgets by changing up their phone and insurance plans. They just called the companies they had service with and explained that they needed to get a cheaper bill. Remember that these companies work for you in a sense....meaning they want your business and want to keep their customers. 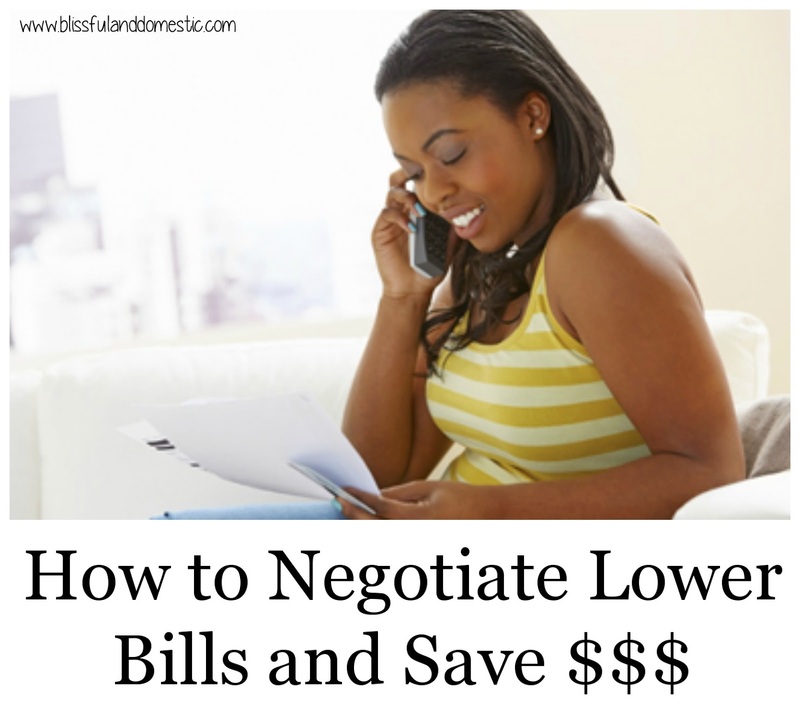 Let this work in your favor and try to get those bills reduced. Ask for a One Time Discount- I have known quite a few people who were able to get a one time discount with cell companies when they were having a very lean month. It never hurts to call and explain your situation. Companies are more likely to work with you when they see you are trying everything you can to get those bills paid. You don't have o give them a huge sob story, just be honest and let them know you are having trouble paying those bills, but your are striving to get everything to a more manageable amount. Ask For the Right Person- Maybe the person you are currently talking to can't give you the discount or plan change you would like. Save everyone some frustration by asking to speak to a manager (kindly I might add). If you hit a wall there, ask to be transferred to the customer cancellation (or retention) department. You are more likely to be offered a deal to continue your service with them. Use Open-Ended Questions- Asking what the company representatives can do for you puts the ball in their court to come up with a way to keep you, as opposed to asking yes-or-no questions, to which they can simply say no. Don't Give Up- At first you may be greeted with a flat out "no". Continue open-ended questioning or pushing for the next level of representative if you don’t meet with success. If the offer you receive isn’t acceptable to you, you can issue an ultimatum (if you are truly willing to drop the service). Check Your Usage- Does it still work for you? You may have a bigger phone package or higher Internet speed than your family needs. Why pay more for something you don't need? Check out what is included in the various bills you pay and see if maybe you should reevaluate your needs. I have cell phone service with Verizon and found that my bill went lower after I had let my 2 year contract expire and then went on a month to month basis, it dropped by almost 30 dollars.....I found out when calling about cloud service and the person on the phone told me about that as a discount that I should have been receiving. I was pleasantly surprised. Month to Month options may be an option to look in to for some people.